RECOMMEND THAT STUMPS BE CUT 4" OR LESS ABOVE GRADE. REMOVE DIRT ALL THE WAY AROUND THE STUMP. 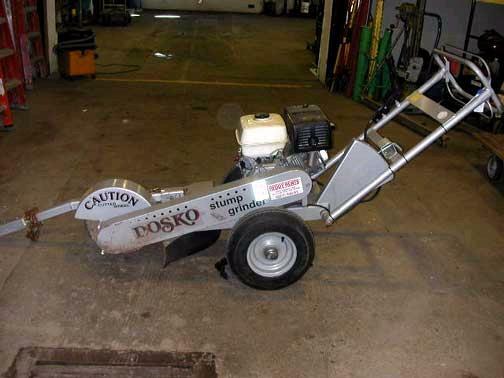 * Please call us with any questions about our stump grinder 13 hp rentals in Duluth MN and Superior WI, serving Proctor MN, Hermantown MN, Northern Minnesota and Northern Wisconsin.